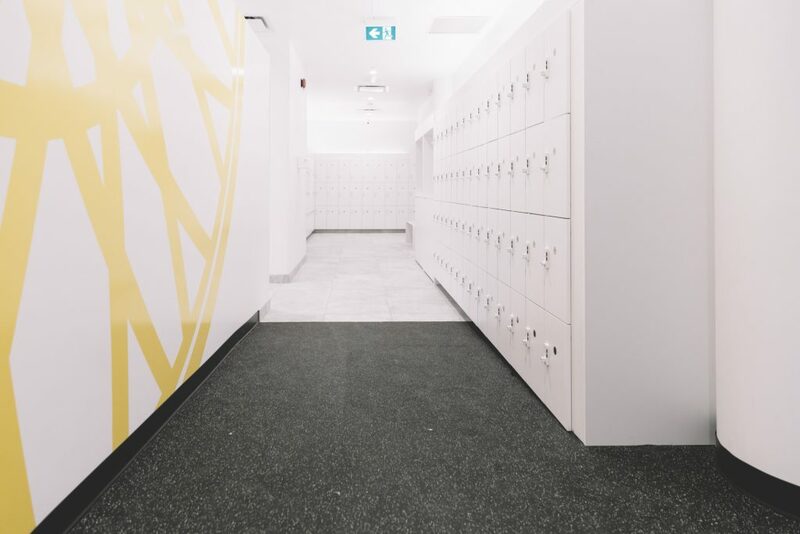 I listen to the words of Adam, the instructor for my first class at SoulCycle, which recently opened in Yorkville Village, 55 Avenue Road. I am grateful for the darkness of the studio, as there was nothing pretty or perfect about me trying to figure out choreography on a spin bike. But it was plenty real. 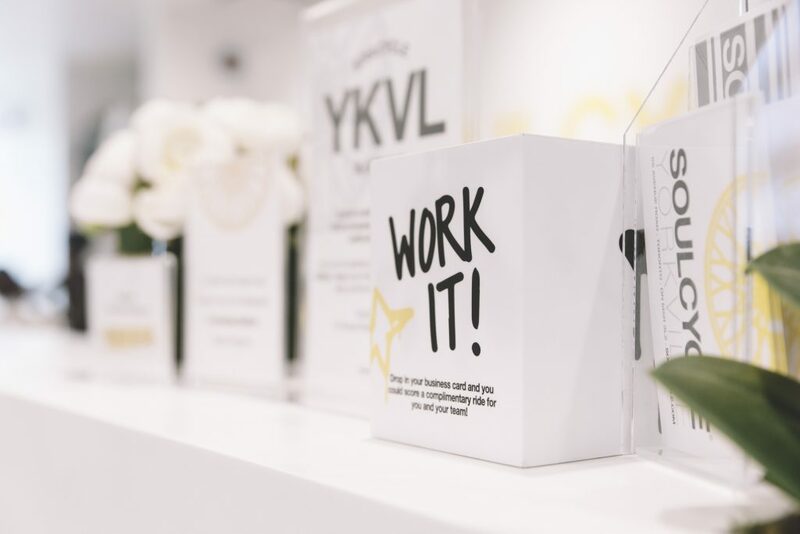 After receiving requests for years to open a studio in Toronto and, after waiting for the right time to expand, they opened their first international locations on King West and in Bloor-Yorkville. A third location recently opened in Vancouver, with more Canadian locations to come. I have to agree, they really do. The studio is bursting with energy. The bright white and yellow décor of the reception area is clean and smells fresh. Smiling faces welcome new and regular cyclists. First time riders are offered special cycling shoes for free, with a small rental fee in future classes. I’m somewhat wary of putting on shoes that have been worn by others, and immediately I think of bowling shoes. But these shoes are pristine, and obviously disinfected with care, and my mind is put at ease. I bounce into class (that energy is certainly catching), and I sit on my assigned bike. 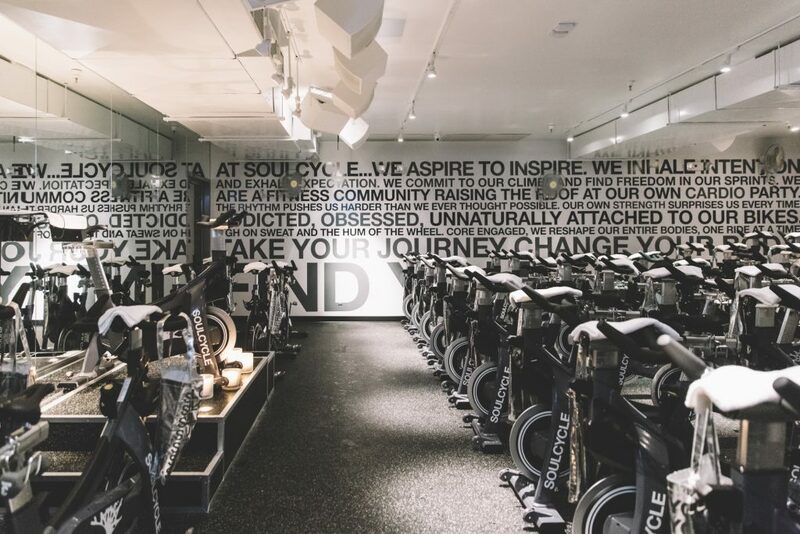 There are two SoulCycle employees helping riders with their seat positioning and explaining how to clip in and out. Adam walks in with his contagious smile and asks if we are ready to sweat. The woman beside me gives an enthusiastic “whoop,” and I’m glad that I’m clipped in to my pedals, as her excitement nearly knocks me off my bike. The lights are dimmed, and candles are lit, and I am immediately relaxed. The music starts up and we begin class. Five minutes in and I’m dripping with sweat. This is the warm-up? But, like any high-cardio fitness activity, the warm up is the worst part. Soon I’m pedaling with quick legs, and trying (and not quite failing) to keep up with the choreography…yes there is choreography in this class. We push-up, tap the handlebars, move forward and back above the seat, all in time to the house music. Things slow down and we reach behind for hand weights. Slow is just as difficult as fast, at this point. Using our core to stay upright, we work our arms and shoulders. The weights are light, but curiously difficult. My arms felt like Jello, by the time the weight section was over. Several times during the class, I think of the many other spin classes, that I have been to over the years and this one is vastly different, from the smoothness of the bikes, to the ambience with energy, to the constant fast-paced movements on the bike. The class ends with a cooldown and a stretch. I’m left invigorated and yet slightly euphoric. I am chosen to blow out one of the candles, and I loftily assume that it was because I did so well and because of all the great energy I brought to the class. As someone who likes to shop around for her fitness, I tend to agree. They already have their regulars, and the staff take their time to get to know everyone who walks through the door. “We want people to feel at ease. We want to know about them, and what works for them,” Alice says. The change room is small, but very clean with an abundance of shampoos, lotions, etc. to pamper yourself before you leave. I make my exit feeling happy and fresh, and everyone tells me to enjoy my day. 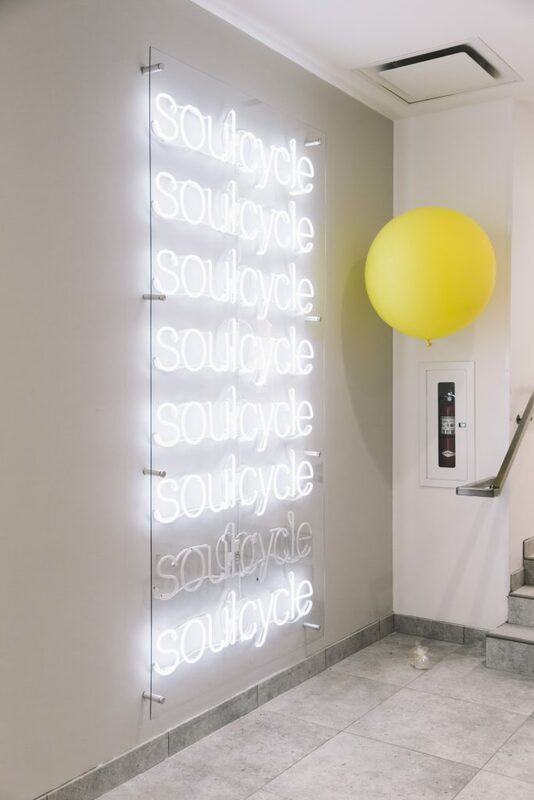 SoulCycle is located in Yorkville Village, 55 Avenue Road. Check out their schedule here.